Signoria is known for mixing color, emotions, and decorative flair into their line of luxury bedding. The introduction of the Aurora percale and the Ginevra sateen sheet collections with its simple beauty and delicate hemstitch details, showcases a new elegance. It speaks to those looking for fabrics that inspire. These collections offer superior quality 600 thread count percale and sateen sheets to complement the Signoria “top of the bed” collections. 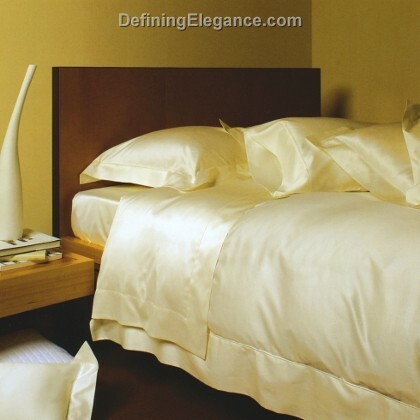 DefiningElegance.com invites you to view the Aurora and Ginevra collections as well as are complete line of Signoria luxury bedding ensembles.